Truth: I think Mark hung the moon. Okay, so maybe that’s a half-truth because we all know that God created and hung the moon. The real truth is that I don’t have words in the English language to describe the incredible love and respect that I have for my husband. I sincerely believe he’s the best man on earth, and I could not imagine doing life with anyone else. 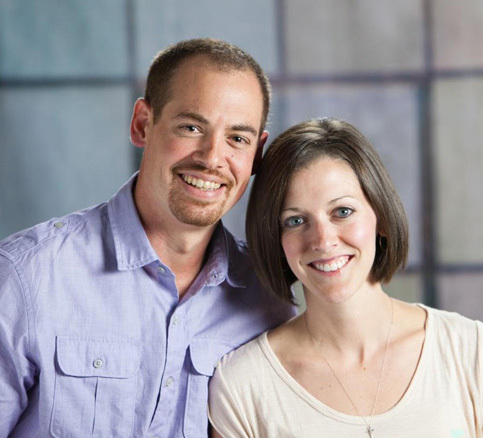 I am continually amazed that God brought Mark to me as a life partner and friend. We’ve been married nearly eight years and sometimes I find myself staring off into space lost in thought and in genuine awe that I still love him, want to be with him, and look forward to when we’re empty nesters and can have uninterrupted conversation in our home. I look forward to growing really old with him, and it amazes me. It amazes me because I know marriages falling apart. I know marriages that look good on the outside but are in shambles on the inside. I know marriages that function as mere co-habitants in life, and I know that apart from the grace of God that could be us. It’s pretty easy to get to that point. To that point of giving up on marriage. Of forgetting why you even got married in the first place. It also amazes me that I still think Mark hung the moon after all these years because I’ve seen his ugly. Like really ugly. And he’s seen mine. We’ve sinned against one another more times than I can count. We’ve raised our voices and threatened to fold the cards a time or two. We’ve wondered who the heck the person is sleeping in the bed next to us, and we’ve wondered what the Lord was thinking when He put us together under the same roof and even expected us to be the most vulnerable a human can be by making nakedness and togetherness a part of the marriage covenant. Well, maybe he’s never wondered that, but I sure have! So, how can we walk through all of that ugly and come out still completely bonded together, inseparable even, and loving each other more today than we did yesterday or nine years ago when I agreed to marry this crazy man? 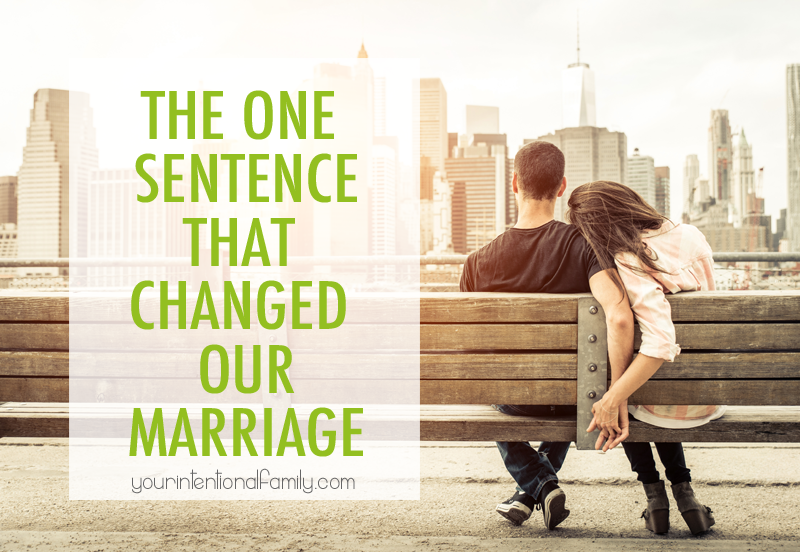 Well, there are a number of reasons, but as we talked about this together a few years ago, we realized there was a sincere turning point in our marriage when we learned one simple sentence. 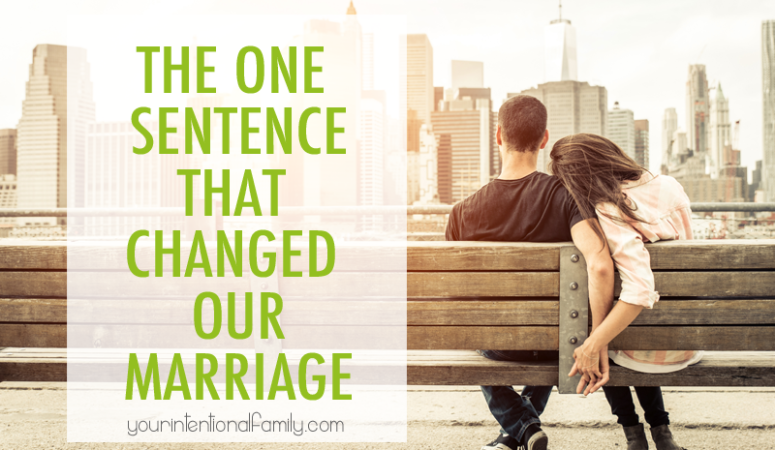 It was this sentence that helped us to bring correction to one another, share more gently when our feelings were hurt, and bridge the gap when the lines of communication would break down or get clogged. It was this sentence that brought me through a terribly low point in my walk with Christ, and it was this sentence that helped me walk with him through his continual encounters with the discipline of the Lord in regard to his calling. It was this sentence that helped me to pose question of why he insisted on draping his underwear over the hamper instead of putting them inside, and it was this question that helped him finally ask me why in the world I could be so organized one day and a complete disaster the next. It was this sentence that kept us plugging forward when all seemed lost and we felt like we had no hope left. What is the secret sentence? Four simple words, but words that inevitably pack a substantial punch when we feel like the world is against us. When hard things have to be said, it requires extra gentleness. It’s a lot easier to receive correction or hear hard things when you believe the other person truly has your best interests at heart – when you believe they are for you and not against you. Why do you think Paul proclaimed so passionately in Romans 8:31-39 that God is for us? At our core, we want to be loved and accepted. Of course, this can only be satisfied fully in Christ. But we are called to love like Christ loves. If we have to be reminded of Christ being for us, then how much more do we need to remind each other in our marriages? We are on the same side. We are for one another. But before we even reach that point of conflict, we need to commit to speaking words that convey this message, “I am for you,” regularly and with conviction. 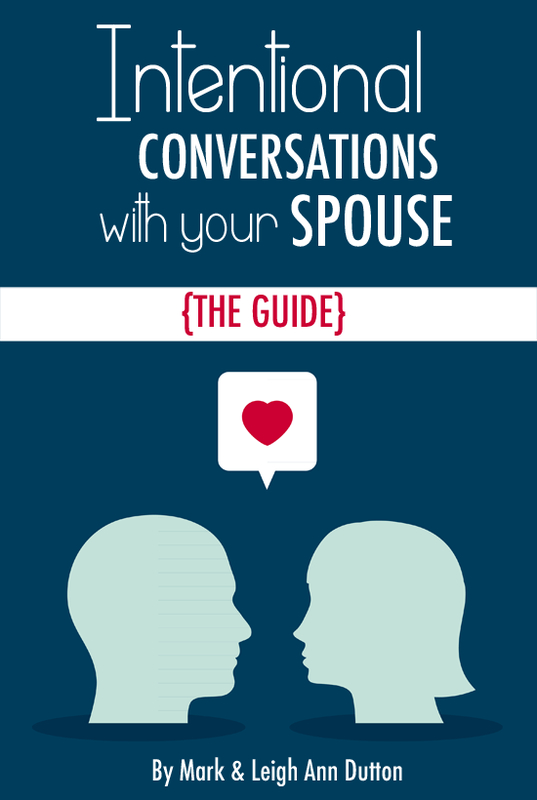 This is why we encourage married couples to participate in regular intentional conversations. We know that every single time we tell each other, “I am for you,” the words that follow always come out gentler, more loving, and more convincing. When we take time to assure each other of our love regularly, when we have to bring correction to the table, it doesn’t hit quite as hard. This simple sentence helps us to fight the temptation of allowing pride to skew our judgment and response to the words of our spouse, and instead helps us to bear with one another with gentleness and kindness and helps us together to sow to the spirit, speaking the truth in love and guarding us both from the sin of manipulation and slander (among other things). So, today take some time to tell your spouse that you are for him or her. Don’t wait until the next argument. Begin sowing to the spirit of love and encouragement in your marriage now. Make the deposits of love now so that when you remind your spouse in the heat of conflict that you are for him or her, the words are received with knowing … with trust. 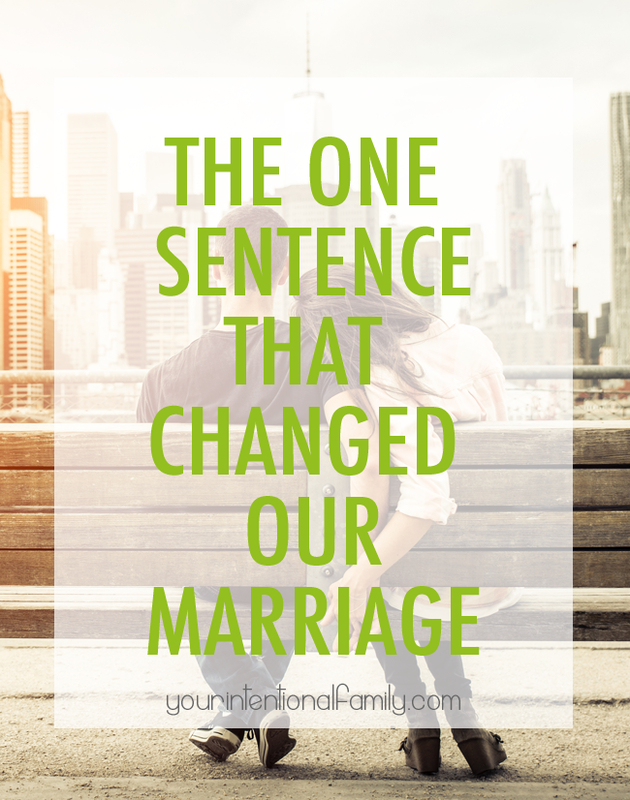 How do you and your spouse communicate that you’re on the same side to one another? Do you think these four words could help you?